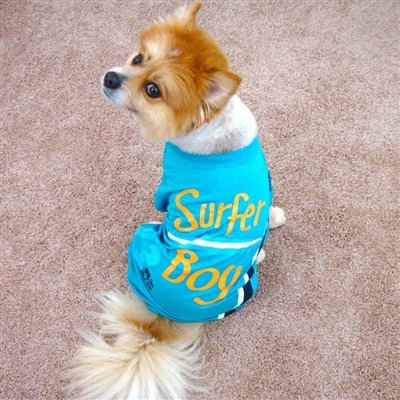 Catch some waves and tail-wags in our Surfer Boy Dog Tees. 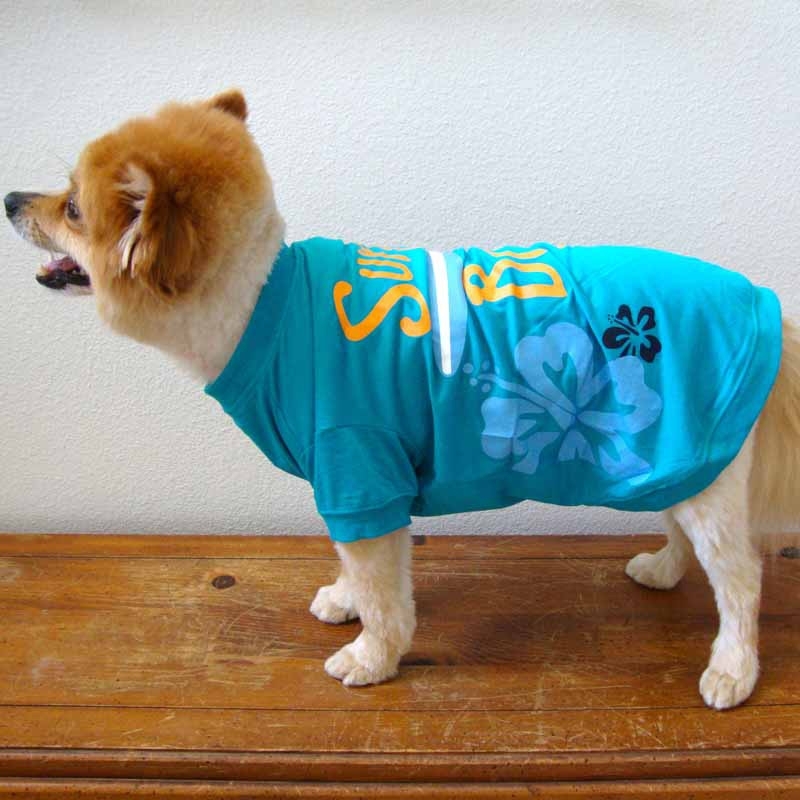 *Kuma (with puppy cut) is pictured wearing size "Large" His neck is 16 1/2" chest 21 1/2" and length 19"
I had this in a smaller size when my dog was a puppy and he recently grew out of it so I got him the medium, it fits great and it's very cute. I love the colors!